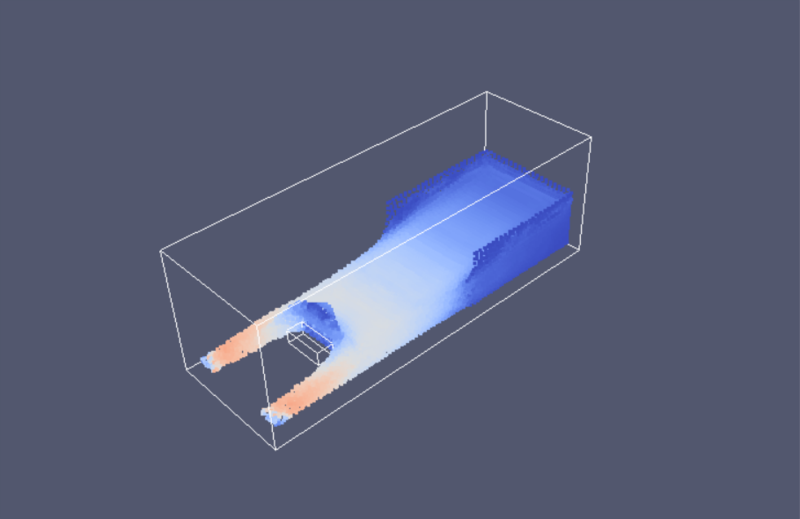 PySPH is an open source framework for Smoothed Particle Hydrodynamics (SPH) simulations. It is implemented in Python and the performance critical parts are implemented in Cython and PyOpenCL. PySPH allows users to write their high-level code in pure Python. 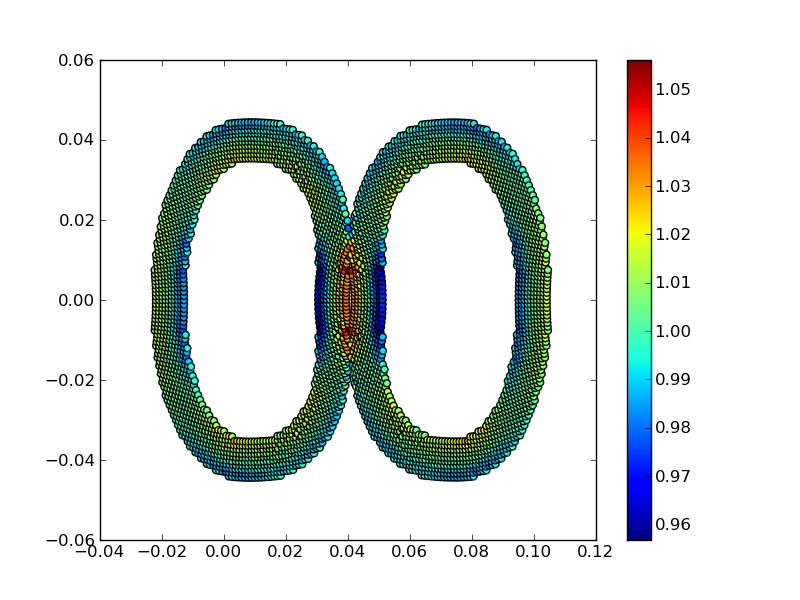 This Python code is automatically converted to high-performance Cython or OpenCL which is compiled and executed. PySPH can also be configured to work seamlessly with OpenMP, OpenCL, and MPI. The latest documentation for PySPH is available at pysph.readthedocs.org. Here are videos of some example problems solved using PySPH. 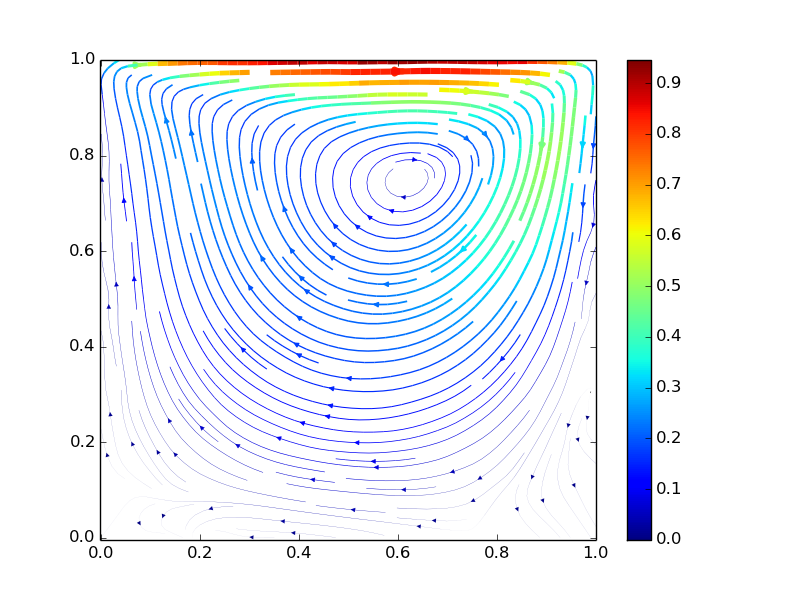 Flexibility to define arbitrary SPH equations operating on particles in pure Python. Define your own multi-step integrators in pure Python. High-performance: our performance is comparable to hand-written solvers implemented in FORTRAN. Seamless multi-core support with OpenMP. Seamless GPU support with PyOpenCL. Seamless parallel support using Zoltan. Up-to-date details on how to install PySPH on Linux/OS X and Windows are available from here. If you wish to see a working build/test script please see our shippable.yml. For Windows platforms see the appveyor.yml. The generated output can also be viewed and the newly generated output files can be refreshed on the viewer UI. The auto-generated code for the example resides in the directory ~/.pysph/source. A note of caution however, it's not for the faint hearted. PySPH is primarily developed at the Department of Aerospace Engineering, IIT Bombay. We are grateful to IIT Bombay for their support. Our primary goal is to build a powerful SPH based tool for both application and research. We hope that this makes it easy to perform reproducible computational research. Please also take a look at the PySPH issue tracker.